Turmeric, the bright orange cousin of ginger, has graduated from a colorful spice in Indian cuisine, to a widely recognized superfood. 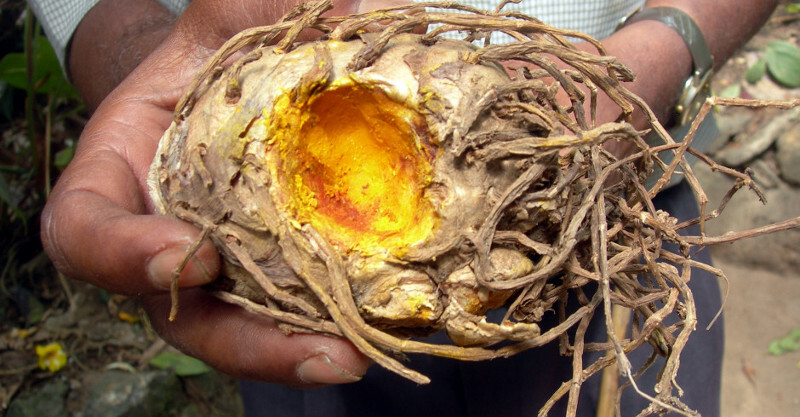 Turmeric is the powdered rhizome of a tropical plant and 90% of the world’s supply comes from India. Its exceptional brilliant color makes turmeric a favorite for adding visual appeal to foods, ceremonies, and dyes. The common spice blend known as curry powder gets its color from turmeric. But turmeric is so much more! Known in scientific circles as curcumin, it’s used to treat everything from skin and stomach ailments to infections and inflammations. Other research shows curcumin helps reduce Alzheimer’s. Now modern researchers have been intrigued enough to put turmeric’s many historical benefits to the test – even rheumatoid arthritis! 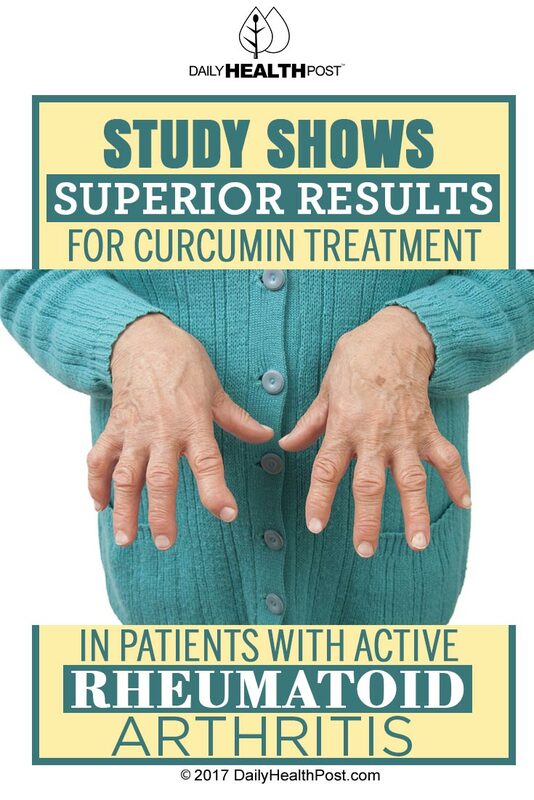 A study reported in the Phytotherapy Research revealed that curcumin in high bioavailable form has been shown to be more effective than any rheumatoid drugs, which includes reducing tenderness and swelling of the joints, plus patients reported a higher rate of improvement altogether. Along with the amazing benefits and incredible improvements in relieving pain far better than other drugs, patients also reported no side effects. In comparison with patients receiving NSAIDs, about 14% of them experienced side effects. Researchers explained, “Interestingly, the curcumin group showed the highest percentage of improvement… and these scores were significantly better than the patients in the diclofenac sodium [Voltaren] group. More importantly, curcumin treatment was found to be safe and did not relate with any adverse events. Several years ago, in 2006, another study revealed that turmeric supplements greatly lessened inflammation and destruction of the joints by blocking inflammatory pathways and preventing increased protein production that causes swelling and pain. Curcumin has also been shown to influence hundreds of genes and have the ability to inhibit overactivity of COX2 and 5-LOX, as well as other enzymes that have been known to trigger inflammation. When looking at the long term effects of NSAIDs and herbal studies, NSAIDs have been deemed to be much more dangerous and damaging to the gastrointestinal, kidney, and cardiovascular systems. Whereas in herbal remedies, the long term treatment for pain and even toxicity have been far safer than NSAIDs. Consider cooking more foods with the natural root of turmeric or find good quality supplements that will maximize the benefits. It’s easily accessible and safer.